Our previous post made reference to Israel’s conquest of Canaan, and specifically looked at Caleb’s inheritance of Hebron in Judah. The book of Joshua not only tells of the cities Israel possessed and inhabited, but also of those cities they either did not take, or else initially captured but did not retain. Probably most readers pass over these texts, or else read them without seeing their significance. But some of the cities specified were especially strategic locations, and to not have them would be a tremendous loss, and really put Israel at a great disadvantage. We want to consider just a few of these as mentioned in Joshua. In this post, we consider Gezer. 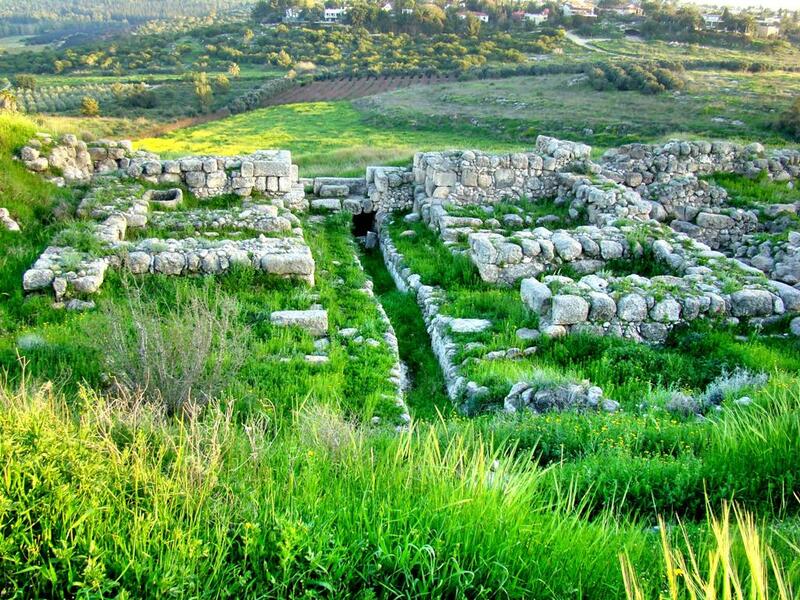 Joshua 16:10: “The Ephraimites did not conquer the Canaanites living in Gezer. The Canaanites live among the Ephraimites to this very day and do hard labor as their servants” (NET). Gezer was a large, important city in the Shephelah. Later Solomon made it one of his fortified cities. Our photo below was taken March, 2011. Solomonic Gate at Gezer. A city not taken during the Conquest. Photo by Leon Mauldin. Gezer was strategically located on Ephraim’s southwest border at the entrance to the Aijalon Valley. It guarded the crossroads of the eastern branch of the coastal highway and the major west-to-east route through the Aijalon Valley to Jerusalem or Bethel. This is one of many instances where some understanding of the geography will enhance one’s understanding of the text. More to come. Click image for higher resolution. You are currently browsing the Leon's Message Board blog archives for the day Thursday, May 19th, 2011.